In 1997, Toyota introduced Hybrid technology to the world with the pioneering Prius. Today, with over 12 million Hybrid drivers around the world, there are more reasons than ever to choose Toyota Hybrid. As the Hybrid leader, we’ve been perfecting our innovative, self-charging Hybrid cars throughout those 20 years and now boast an unrivalled range of stylish, responsive and efficient Hybrid models to suit every lifestyle. By switching seamlessly between pure electric power at low speeds and efficient petrol power when speeds increase, Toyota Hybrids not only save you fuel and money, but they also offer class-leading CO2 emissions. And because they are all self-charging Hybrids, their batteries never need to be plugged in. 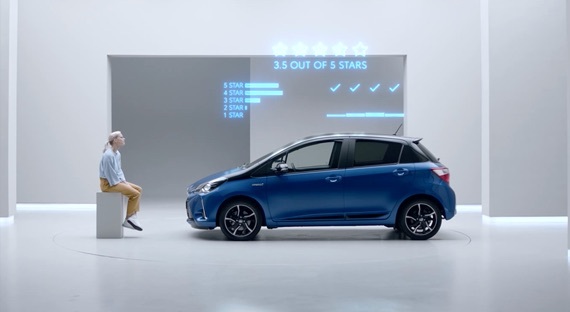 To find out how else a Hybrid can make your life easier, why not ask Toyota Hybrid a question? Do you have more questions about Hybrid technology? Discover the answers to other frequently asked Hybrid questions here, including: Can I trust Hybrid technology? Are Hybrids reliable in the long term? And what’s the difference between a full and mild Hybrid? From Hybrid SUVs to Hybrid city cars, we offer a range of eight distinctive models to suit every lifestyle. Whether it’s the dynamic C-HR crossover or stylish Yaris hatchback, the all-wheel-drive RAV4 SUV or a spacious Corolla wagon, Toyota has the best Hybrid car for you.